Candidate skills shortages in the UK is still an ongoing issue – The KPMG and REC, UK Report on Jobs: South of England is compiled by IHS Markit from responses to questionnaires sent to around 150 recruitment and employment consultancies in the South of England. Recruitment consultancies report on the number of people placed in permanent jobs each month, and their revenues (billings) received from placing people in temporary or contract positions at employers. January survey data signalled that permanent staff appointments in the South of England rose at a softer pace. Moreover, the latest upturn was the least marked for 14 months. Survey respondents often mentioned that candidate shortages had weighed on growth, but there were also reports that uncertainty over the outlook had delayed hiring decisions. Nonetheless, the increase contrasted with a renewed fall in placements at the national level. January survey data also signalled a weaker rise in billings received from the employment of short-term staff in the South of England. Growth was marginal overall, having eased to the slowest over the current 31-month sequence of expansion. Temp billings also rose at a noticeably slower rate across the UK as a whole. Demand for both permanent and temporary workers in the South of England continued to increase in January. Permanent job vacancies rose sharply overall, despite the rate of growth softening from December. Notably, growth of demand for permanent staff outstripped the UK average. Though still marked, the latest increase in short-term vacancies in the South was the slowest for just over two years and weaker than the national trend. Recruitment consultants are asked to report whether the availability of permanent and temporary staff has changed against the previous month. January data pointed to a sustained fall in the supply of temporary candidates in the South of England. The rate of deterioration accelerated slightly from December and was sharp overall. 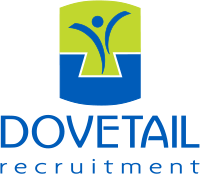 A number of recruiters mentioned that people were hesitant to seek out new jobs due to an uncertain outlook. Temp candidate availability also fell further at the national level, and at a quicker pace than seen in the South of England. The recruitment industry survey tracks both the average salaries awarded to people placed in permanent jobs each month, as well as average hourly rates of pay for temp/contract staff. Latest survey data signalled a further rise in starting salaries offered to permanent staff in the South of England. Furthermore, the rate of inflation accelerated since the end of 2018 and was much sharper than the series average. Recruitment consultancies regularly linked higher pay to low staff availability and increased use of counteroffers. Starting salaries rose at a similarly sharp pace across the UK as a whole. Pay awarded to short-term staff in the South of England also rose strongly at the start of the year. Moreover, the rate of growth quickened since December, and was among the fastest seen since the survey began over 21 years ago. Higher temp wages were often linked by respondents to efforts to attract applicants and secure staff. Short-term pay also rose markedly at the national level, though the pace of inflation was not as steep as that seen in the South. Latest data from the Office for National Statistics showed that average weekly earnings across the UK increased by 4.2% on an annual basis over the third quarter of 2018. The KPMG and REC, UK Report on Jobs: South of England is one of four regional reports tracking labour market trends across England. Reports are also available for London, the Midlands and the North of England. Permanent staff appointments fell across the UK for the first time in two-and-a-half years during January. Albeit only marginal, the decline was driven by contractions in three of the four monitored English regions. The South of England was the only area to record growth. Meanwhile, there was an overall increase in temporary staff billings across the UK in January. However, the latest expansion was the softest since September 2015, as both London and the North of England recorded declines. The Midlands posted the fastest rate of growth, with a strong increase overall. January data signalled the sharpest fall in permanent candidate availability in the UK since May 2017, extending the current run of decline to 69 months. The steeper contraction in available permanent workers was driven by London, which registered its strongest downturn for eight months and the fastest across all English regions. There was also a fall in availability of temporary workers across the UK in January. The overall pace of decline was sharp and the fastest for 14 months. At the regional level, quicker falls in all four monitored English regions drove the latest decline, with the Midlands recording the sharpest contraction. UK permanent starting salaries rose markedly during January. The pace of inflation accelerated to its fastest since October 2018. 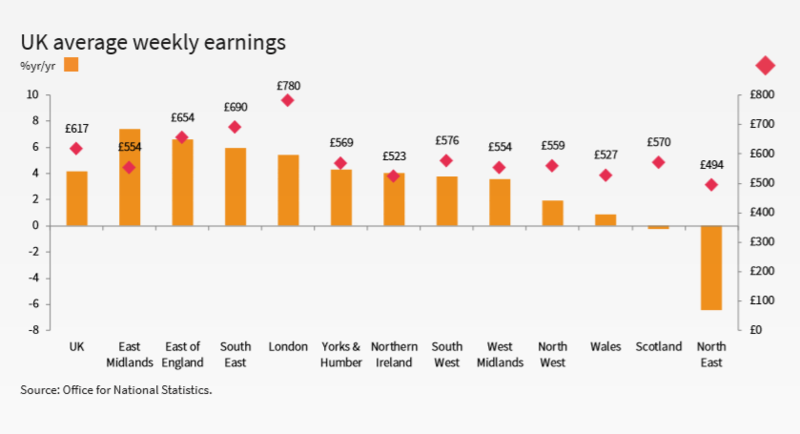 Quicker salary growth in the Midlands and South of England contrasted with slower expansions in London and the North of England. Wages earned by temporary workers in the UK also rose in January. Though sharp overall, the increase in temp pay rates was weaker than that seen in December and the slowest for three months. The South of England posted the quickest rise, followed by the Midlands, London and the North of England respectively. Thanks as always to KPMG, REC and IHS Markit for the data above.